In 2014, Google played an April fool’s Day joke on everybody with a twist. Instead of tricking us into thinking they were releasing a new type of service (Google Nose anyone?) they had a nifty little update to their Maps app instead. With it, you could scroll through the real world and find Pokémon hidden in and around the major cities of the world, near landmarks and other sites. Pretty cool, right? Now, Nintendo has gone a step further. 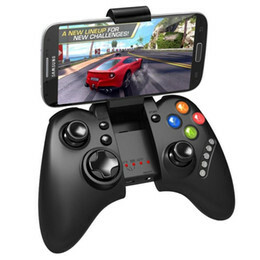 Recently, they announced that they would be making advances into the world of mobile gaming. No one expected this because Nintendo hasn’t really been in the scene of gaming for a while. However, they did announce this and take the world by storm. When they finally revealed a partnership with The Pokémon Company and Niantic Labs (the creators of Ingress, an augmented reality game), gaming fans went crazy. After all, Pokémon was the game series that changed the world. When we finally got a sneak peek at the amazing application that would be called Nintendo Pokemon Go, it took us all by surprise. In a spinoff and step up from the Google Maps business last year, Pokémon Go is a mobile game that allows every single one of us to become a Pokémon Master, just like we always wanted to be when playing the classic games on the 3DS. Real time Pokémon battles and events! Players of Pokémon Go can travel around the world (in real time) or their local area. With the app installed on their phones, and GPS on, you will be notified when there is a Pokémon near your location. Yep, this means that you will literally be able to catch Pokémon as you go around town and around the world, all using the joys of GPS. The world is full of vastly diverse Pokémon. We all know just how many there were in the many old games that was released on the original Nintendo handheld consoles. All of them have now been integrated into our world, so that you can look for Pokémon in your location using your phone, and then even use AR to battle, train and catch them until you really are the Pokémon master! Nintendo really has stepped up this time. With the release of this game, people all over the world are going to remember exactly why this company was once the biggest gaming giant in the world.